Diesel engines power the overwhelming majority of vehicles used in the transportation industry, from trucks and locomotives to loading dock equipment that was powered by diesel fuel well into the 1980s. Recent studies have confirmed long held suspicions that prolonged exposure to the fumes and particulate produced by this fuel has a considerable impact on human health and well being. The Chicago diesel fume injury attorneys of Rosenfeld Injury Lawyers LLC are currently representing many of the individuals whose lives were impacted by health conditions that developed due to exposure on the job for many years. 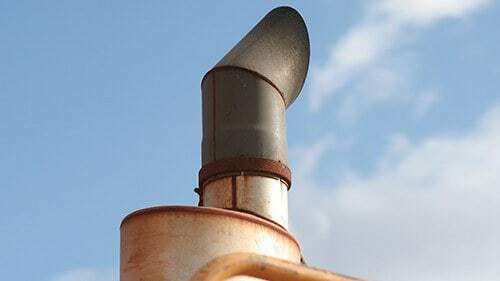 It comes as a surprise to nobody that inhalation of fuel fumes is not healthy, but the extent of the damage caused through working with diesel powered machinery was never fully understood until recently. Diesel fumes contain hundreds of chemicals found to have negative health consequences and these substances include lead, cyanide, arsenic, formaldehyde and benzene. There are also microscopic particles emitted in diesel exhaust that can enter and damage the lungs and build up in the lymph system, causing a myriad of health concerns. Conditions which can be linked to diesel exhaust exposure include conditions such as emphysema, asthma, chronic obstructive lung disease and certain heart ailments. Prominent transportation companies have hesitated to warn employees about the risk of working around diesel fumes, however, despite mounting evidence over decades that exposure could be harmful. By warning employees and providing personal protection equipment, these risks could have been greatly reduced. In 2002, the Environmental Protection Agency published the findings of an expansive study which indicated that employees exposed to diesel fumes and exhaust were at a significant risk of developing lung cancer. Key corporations within the transportation industry pushed back with assertions that diesel technology changed over time and that the study only applied to older engines. The EPA quickly rebutted those arguments by restating that the findings included risks associated with newer diesel engines as well. These claims were later supported by a research study performed at Harvard and U.C Berkeley in 2009, where the records of over 31,000 workers were reviewed to determine if there was any conclusive correlation between diesel exposure and an elevated risk of lung cancer. On average, the workers studied entered the industry in their mid-thirties and worked for an average of 22 years in a wide range of occupations that included driving trucks, operating diesel powered forklifts, performing maintenance on diesel engines, working as delivery drivers or performing duties in the proximity of diesel powered locomotives. 4,306 of the workers died over a 15 year period between 1985 and 2000 and 779 of the workers developed lung cancer. The findings showed an indisputable connection between multiple health conditions and long term exposure to diesel fuel. Anyone whose job duties entail working around diesel engines could be at risk of the negative health impacts linked to the exposure to fumes and exhaust. While diesel engines are most prevalent in the transportation sector, construction workers, farmers, excavation workers and anyone driving a diesel powered vehicle could develop lung or heart related illnesses if they remain exposed over a long period. Workers who have been injured or the families of those who have died from conditions linked to diesel fuel have multiple legal recourses available to recover compensation. One of the undeniable rights that all workers have is the right to worker’s compensation benefits. If a worker’s duties require him or her to work with diesel powered equipment and he or she develops a health condition related to exhaust exposure, his or her employer is required to provide compensation for the cost of medical treatment and a portion of the worker’s wages during recovery. Additional compensation is available if the condition resulted in a disability or the worker’s death. If the claim can be made that the employer failed to warn workers of a hazard or provide reasonable personal protection equipment to reduce the risk of adverse health effects, anyone who has been injured can also file a lawsuit to recoup additional damages that can cover what his or her worker’s compensation benefits do not. It is possible to secure punitive damages as well if a jury finds that the employer acted with complete disregard for the health of its employees. Rosenfeld Injury Lawyers LLC is a leader when it comes to representing the rights of injured workers and their families. If you or a loved one has developed a serious health condition due to prolonged exposure to diesel engine fumes, we can help you secure the compensation that you are entitled to under Illinois law and demand accountability from your employer for failing to properly communicate risks that have been well documented for over a decade. Contact us today to arrange a free case review with one of our award winning Chicago diesel exhaust injury attorneys so that we can help you determine the most prudent course of action to take. It is our belief that anyone who has been injured deserves access to quality legal representation, so we provide all of our clients with the promise never to demand attorneys’ fees unless we are able to secure damages on your behalf.